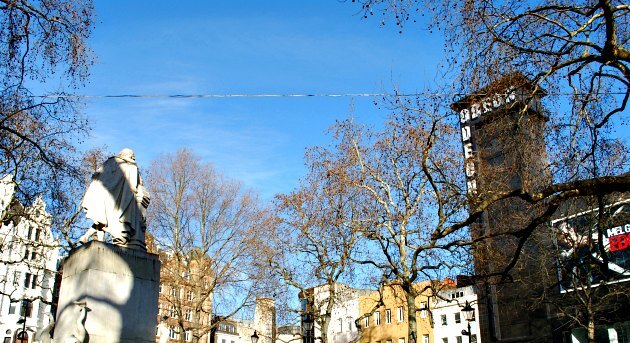 Leicester Square is a bustling plaza in London, set around a statue of William Shakespeare. It’s best known for its movie premieres, street entertainers and discount theatre ticket booths, but there also a new water fountain here which children love. If there’s a spare seat, rest your legs in the walk-through park which forms the centre of Leicester Square and watch the world go by. When the square is crowded, this can be a little escape as most people walk around the outside of the square rather than through the park. 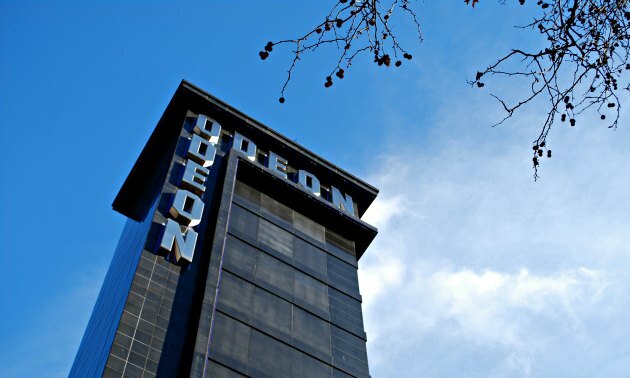 If you fancy seeing a film at the historic art-deco Odeon, it’s cheapest to go off-peak during the day (Monday to Thursday) when adult tickets are £15 in the stalls and £17.50 in the Royal circle. Weekends and evenings bring prices of up to £22.50 per person (2016 prices) for the Royal circle. If you’re thinking of buying tickets for a West End show, there are several theatre tickets booths in Leicester Square, although we’ve often found that the deals are no better than those you can find online. Click here to check out some of the offers for tops shows like Phantom of the Opera and The Lion King. Our favourite musical is Wicked, which we would recommend to anyone – it was just brilliant! 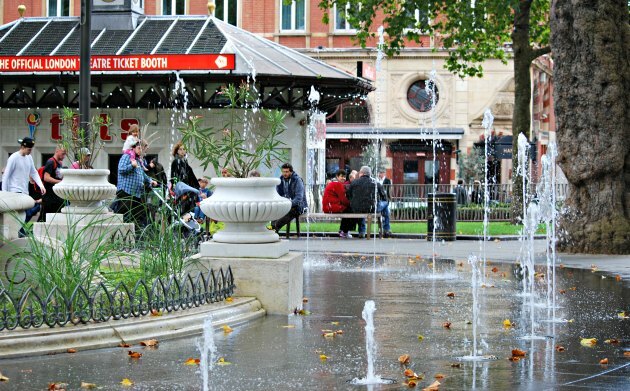 Leicester Sqaure is 200 yards from Picadilly Circus and around half a mile from Covent Garden. It has its own tube stop too. You can get to Leicester Square using the Hop-on, Hop-off Sightseeing Bus Tour.